Yep, it’s that time of year when everyone (or almost everyone) starts getting the urge to be outside enjoying all that fresh air. 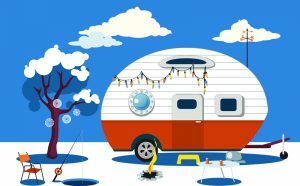 Time to air out the RV, get that RV packing list out and start getting ready. (Don’t have a check list? Here is a link for one. I’m not endorsing any of the ads but I did find that the list was pretty inclusive.) 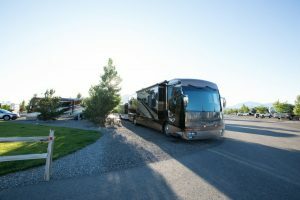 Once you get the RV packed up, schedule a shake down trip just to make sure that you are ready to hit the road. A quick getaway for a weekend will give you the chance to make sure that you have packed everything you need and identify what you have packed that you don’t need. Not an RVer but like getting away for quick trips? You still need to have that “ready to go” duffel bag in the back of the car. 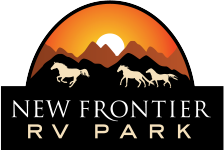 Well, here is a quick list that will help you pack that duffel so that you are ready to book a park model at your favorite RV park and make that getaway happen. 1.) A park model has more room than a hotel room so you can move around, not have to watch TV in bed, and you can make hot chocolate to drink while watching a movie. 2.) Don’t worry about putting out a Do Not Disturb sign if you want to sleep in. 3.) You don’t have a common wall with anyone so you don’t have to worry about hearing someone coming and going all night long. You also don’t have anyone moving around above or below you. 4.) You can cook your own dinner for that romantic evening you have planned. 5.) It won’t cost you as much as renting a bungalow, or a bed and breakfast. There are a gazillion more reasons but you already know that, right? Spring Equinox is coming up and it would be the perfect time to get away and relax. 1. Bring a large pot of water to a boil and salt it. Place pesto, lemon zest, lemon juice, parsley, tomatoes, scallions and cheese in a large bowl. Cook pasta to al dente then cold shock it and chill it down under cold running water. Drain well. Add to mixing bowl. Combine salad and season with salt and pepper, to taste. 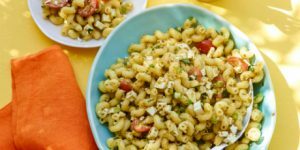 Thank you to Rachael Ray and FoodNetwork.com. Any of those are a great excuse for booking a stay and heading out. Give us a call at 775-621-5277 or Book your reservation here or at our website.